The mysterious case of the elephant that forgot – thank you to our sponsors! Thanks to the support of these fabulous companies (in strict alphabetical order!) we can now report the following exciting news! The Flamingo Investigation Department have been basking in glory having solved ‘The mysterious case of the sinking flamingo’. They wrote a book about their adventure and in the last three years, over 4,700 five to eight year olds and their teachers have heard and enjoyed the story in 158 classroom workshops. 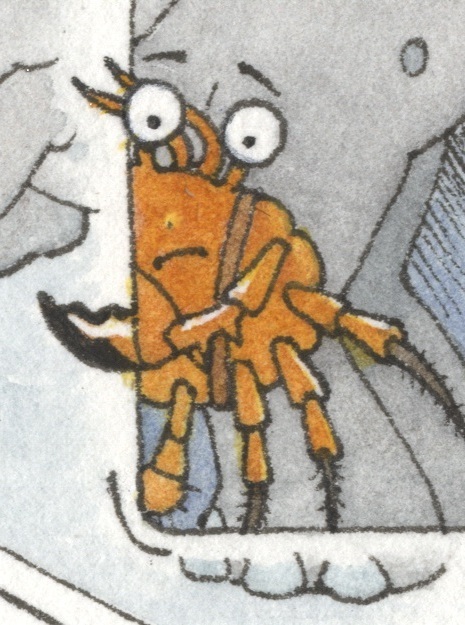 Now, the FID have a new mystery to solve – The mysterious case of the elephant that forgot. A book that we are convinced will inspire younger pupils to see engineering as a cool thing to do. 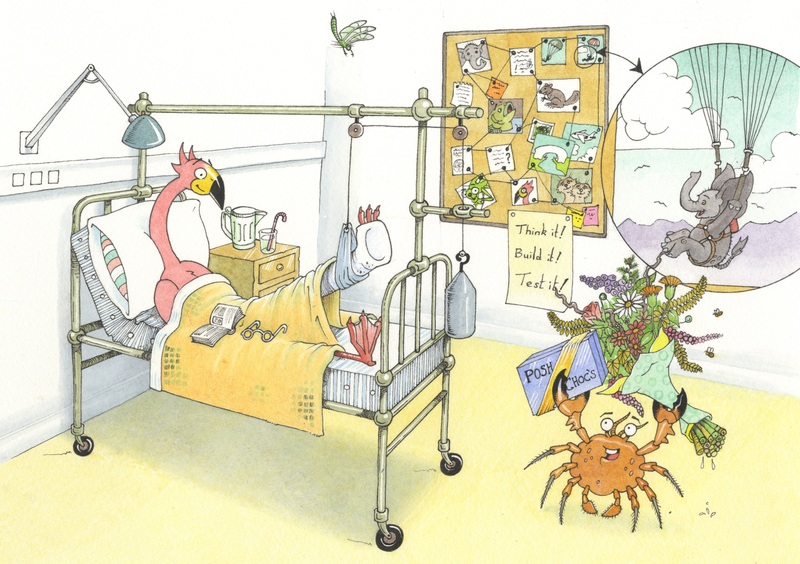 Frankie the flamingo and her faithful sidekick Clarence, the crab who doesn’t like poo on his head, set off to unravel this mystery. 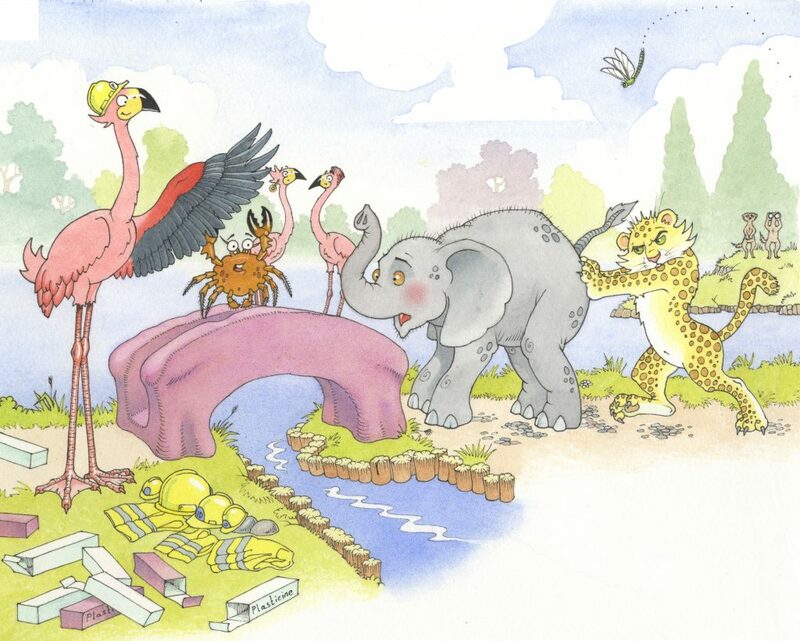 On the way, with the aid of Bradley the beaver, Marilyn and Mustafa the meerkats, and Ellie the elephant, they find out exactly what it is that engineers do as well as the difference between good and bad engineering. As Frankie learns more about what engineers do she also gets to grips with some of the core scientific principles that are studied in Key Stage 1 and early Key Stage 2 Science, such as push and pull, strong and weak, heavy and light, rough and smooth, and the properties of different materials. She also gets to make some badly designed parachutes because that’s the type of irrepressibly (if misplaced) confident type of a flamingo she is! The mysterious case of the elephant that forgot has been written by Cath Hassell and illustrated by Jon Evans. 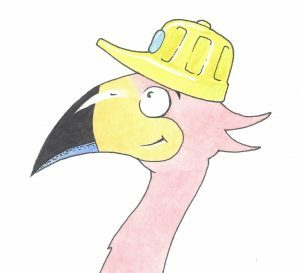 To ensure the book gets its facts right, we obviously needed the input of some engineers, and are really pleased that Pip Jefferis, a civil engineer and Sarah Bell, an environmental engineer, provided us with that feedback. 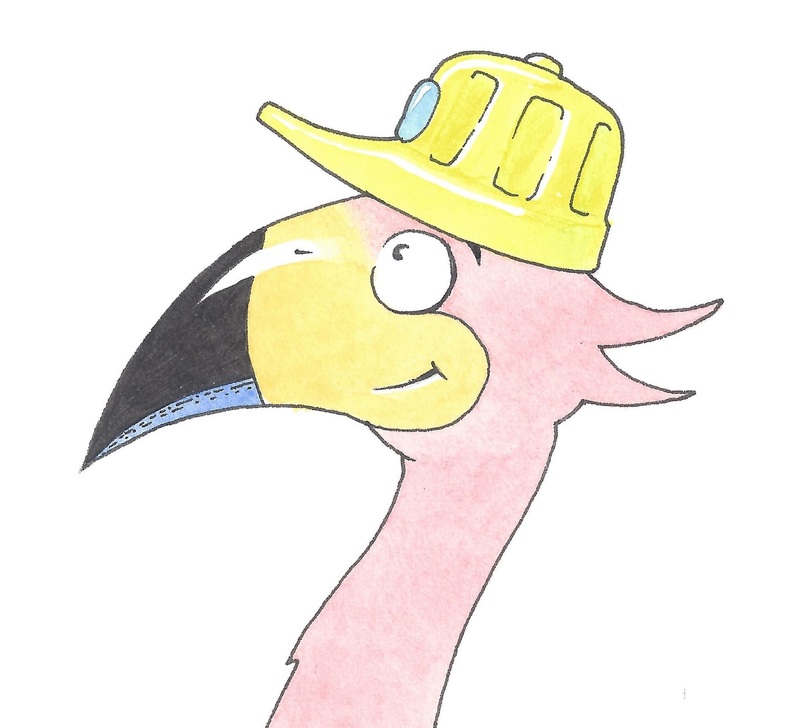 Due to the awarding of an ingenious grant from the Royal Academy of Engineers we have been training up actual real-life engineers to work in tandem with us to deliver workshops in schools so that five to eight year olds can help Frankie and Clarence solve the mystery and vote on whether Frankie’s engineering ideas will succeed or fail! The grant also means that we can give every child who attends one of the workshops their very own copy of the book to take home. As part of the remit is to prioritise schools with a high number of pupils on the deprivation index, this is especially exciting to us. We have also be run a series of workshops at the Science Museum as part of a Year of Engineering and will attend other local science fairs to distribute the book. As a thank you for their support, 30 copies of the book are being sent to a local school of each of our sponsor’s choice plus a workshop for each school by Cath, the author). 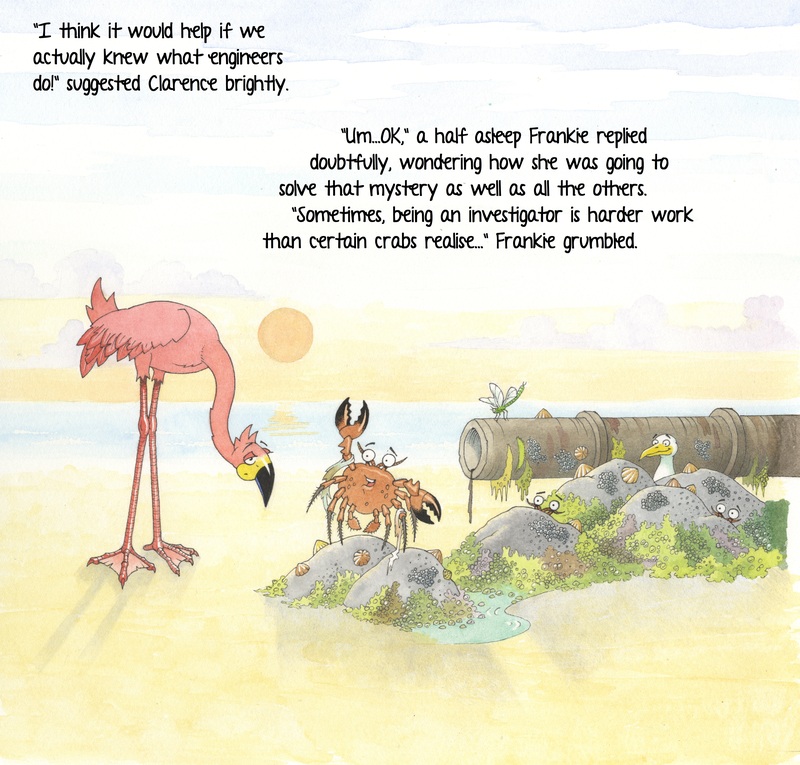 So a big shout out from Frankie the flamingo and Clarence the crab to our sponsors for helping kids to understand that being an engineer is pretty cool! We will be producing an audio visual DVD that will be freely accessible on our website and the STEM website and are still looking for sponsors for this video. We will feature your name at the end of the video and you will get a link from our website. Please email cath.hassell@ech2o.co.uk if you would like more information on how you can sponsor a school to receive 30 copies of the book and a workshop. Or even if you have an idea on how you can support and get involved. 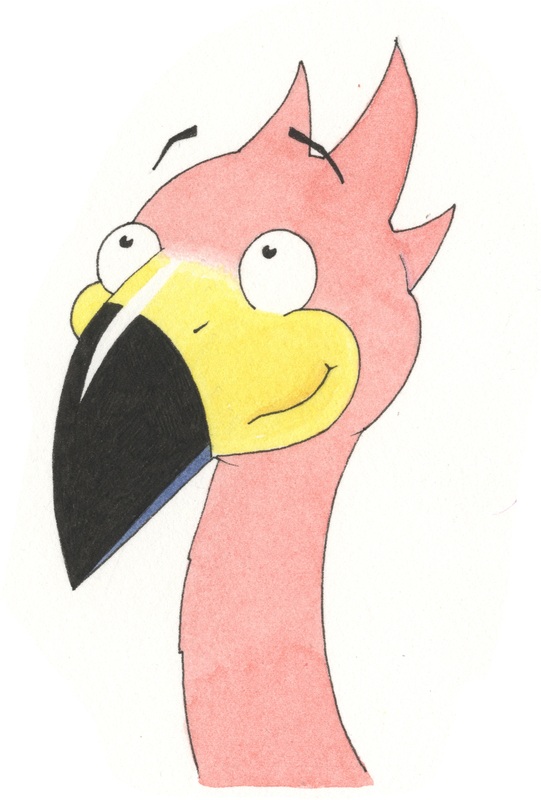 We have, after all, seen Dragon’s den and Frankie the flamingo is an ace wheeler dealer!